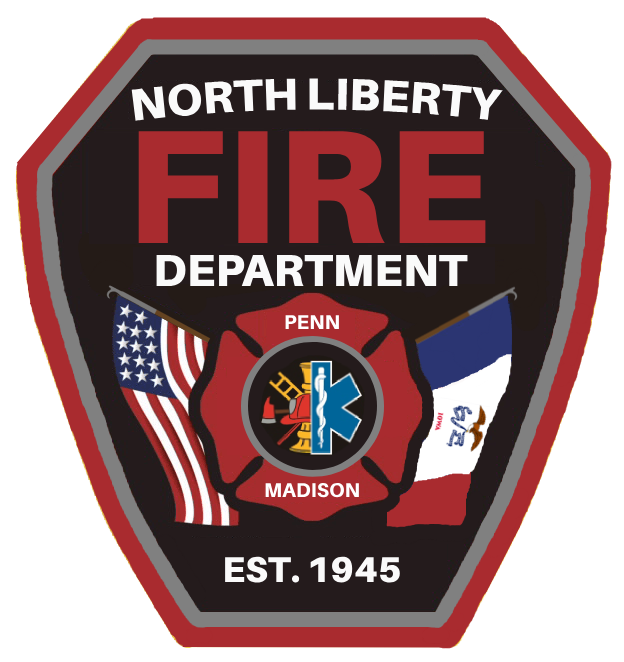 The North Liberty Fire Department has adopted the 2015 International Building & Fire Codes. Utility Clearances: Clearance of not less than 30 inches in width, 36 inches in depth and 78 inches in height shall be provided between all electrical service equipment and storage materials. General Housekeeping: Storage shall be kept to a minimum so as to not create a fire hazard or obstruct means of egress and/or building exits. Sprinkler Clearance: A minimum of 18 inches of clear space shall be maintained below all sprinkler heads. Non-sprinkled areas or buildings shall maintain a minimum of 24 inches of clear space below the ceiling. Fire Extinguishers: Fire extinguisher should be of the proper type/size (2A:10BC) and must be serviced annually. They should be mounted in conspicuous locations where they are readily accessible and immediately available for use. Extinguishers not mounted in approved cabinets must be installed on the brackets or hangers supplied. Exit Lights: All “Exit” signs shall be maintained in a clean and legible condition and shall be clearly illuminated at all times. Exit Aisles: Aisle space width shall be 36 inches when serving up to 50 persons and 44 inches when serving 50 persons or more. Exit Corridors: Space width shall be 44 inches. Exit Doors: Exit doors shall be maintained in operable condition at all times. It shall be unlawful to block open any interior egress or fire door which is required to be self closing. Means of Egress and Emergency Lighting: Means of egress and emergency lighting shall be provided and maintained in operable condition. Capacity Certificate: Meeting rooms and other places of assembly shall post an occupancy certificate approved by the Fire District. At no time should you exceed the approved capacity. Extension Cords: Extension cords shall not be used as a substitute for permanent electrical wiring. The use of a multi-plug adaptor (i.e. cube adaptors, unfused plug strips or other similar devices) shall be prohibited. All fused plug strips and surge protection devices shall be listed and plugged directly into an outlet.